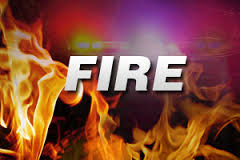 ROCK RIVER TOWNSHIP, MI-- Michigan State Police are investigating a fatal house fire in Alger County. The house itself was completely destroyed. The cause of the fire has yet to be determined, but foul play is not suspected. The Michigan State Police Fire Investigator Unit assisted at the scene.